My very special thanks go to Edvard Moser and May-Britt Moser. We will never forget their unconditional support! Then there was our amazing army in Trondheim – Rita, Karl, Anne, Hermann, Eirik…and all of those who gave a “green” light to all sorts of large and small decisions, as well as the Minister of Science and Education, the Rector of NTNU, the Mayor of Trondheim, The County Mayor, and all of our excellent sponsors…The festival would not have been made possible without these people, and of course our STARMUS team! – BBC Radio4´s panel with Brian Cox and the Astronauts. – The Panel with 11 Nobel laureates introduced by the EC Commissioner for Research, Science and Innovation, Carlos Moedas. – The new lecture of Stephen Hawking titled “ The Future of Humanity”. – The European Premiere of the film “The Spacewalker” about Alexei Leonov. 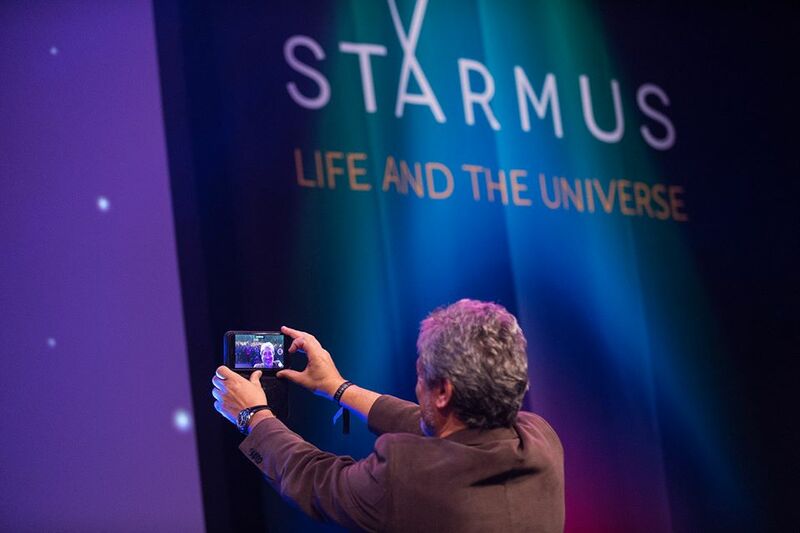 – The Starmus VR Zone organised by Jannicke. – The Starmus Side Program in Trondheim with 1000s of children and students. – The exceptional Science-Music performances by May-Britt Moser (Into Whiteness) and Brian Greene (Icarus At the Edge of Time).